Today I will break down some acronyms and diet strategies for many fat loss diets- so people get an idea about all the different types. 1. Fasting. Now called IF or Intermittent Fasting (although all fasting is in fact intermittent.) Intermittent is defined by Merriam Webster as "not continuous" so the term Intermittent is redundant, since a fast that was in fact continuous would be synonymous with starving to death! We all fast when we go to bed at night and that is why Meal One is called Break-Fast. Fasting however is as old as the Torah and like they say "there is nothing new under the sun." I like fasting by skipping breakfast more then taking full days but if someone had a lot of weight to drop every other day fasting might be the trick. 2. PSMF-Protein Sparing Modified Fasts- this is really not a fast but a protein shake diet that works out to about 500 calories/day and is medically supervised usually. These are great for the obese to drop weight but the premise of just drinking protein might be now a little outdated. Weight training is more important to retain LBM then protein but I guess on such low calories we need Essential Amino Acids and fats and the shakes guarantee this in a easy format. This is also like TNATION's Velocity Diet which is just a PSMF or any "shake diet" and most likly the inspiration for Slim Fast which is horrible stuff. 3. VLCD- Very Low Calorie Diet- this is just eating very few calories and ultimately is the basis of all diets. However just eating skittles (I know girls who have) will only result in nutrient deficiencies. 4. Bodybuilding Show Diets- these are a combo of a PSMF and a VLCD. You eat fish and rice cakes (or maybe green beans) for 16 weeks and then the day after the competition you gain 30 lbs! That simple! 5. Keto diet- this is the ketogenic diet of Atkins! You know eat bacon lose fat! You actually don't need to be in ketosis (burning ketones for fuel) to benefit from low carbs so refer to next. 6. Low Carb or Glycemic Index Or more accurately glycemic load) diets- South Beach, Zone, 100 G carb limits, etc, these get the carbs and sugars down in the diet and keep insulin under control in order to lose weight. However calories still matter no matter what the book marketing slogan claims! I think everyone can eat less bread and wheat based flour products pushed on us by marketing boards and lobbyists! 7. Low Fat Diets-like the Ornish diet. Think late 1980's - fat free brownies and orange juice-not the best way to lose weight. Well I have to go train people now and so I will do a second part to this later. Please post comments or questions below and i will answer or defend myself! Have a wonderful day -cause why not? Actually, it's not redundant. You simply chose part of the definition to fit your rant. Intermittent means "occurring at irregular intervals." Intermittent Fasting is long term at irregular intervals. These intervals might fluctuate day to day, week to week, or completely random based on performance feedback. Also, South Beach and Zone are not low carb. Both recommend carbs at approximately 40% of caloric intake. An athlete consuming 4000 calories per day on Zone would be eating approximately 400g of carbohydrates. I think the intent of the article was fine, but more attention to detail is necessary. Great-that's the type of comment I like. Thanks. 1. I caught your attention with intermittent fasting. So I gave the definition from a dictionary and you gave me your own non referenced definition and so I don't think that it would be fair to say that I choose "part" of the definition. Intermittent is defined as non-continuous. Re-read my point about a continuous fast equals starving to death. I know this is semantics but a clarification nonetheless. There are just various lengths of fasts from 16hrs - 60 hrs to 40 days! 2. Last time I checked a day was 24 hours not 30. 3. South Beach and Zone may not be keto or very low carb diets but represent the lowering of carbs in the mid 1990's to the 40/30/30 macros of Zone to the 2000's with SouthBeach and in the context of my list they are certainly low carb compared to Ornish. SouthBeach even has a 2 week induction phase. Again my list was not completely comprehensive but a guideline for general audiences. Please keep the comments coming! I appreciate your comments-keep em coming! Actually 40% CHO is considered low carbohydrate, according to the Dietitian's Of Canada, who are the experts in Nutrition. If you are eating any kind of fruit or vegetable you are consuming carbohydrtae and you can verify that by looking up how much per serving by checking out the Nutrient Guide for Common Foods produced by Health Canada. What a lot of these so called popular diets fail to do, is distinguish good, healthy carbs from whole grains, fruit and vegetables from bad, simple carbs of white flour based products and cookies, cakes, pastry items. Our bodies function best on 50-60% of complex carbohydrates. Thanks Roxanne!Excellent points! Since "low carb diet" is a technically, non-defined term it is relative and subject to context. I think alot of people are mistaken and think of low carb as the Atkins diet which is in fact ketogenic. From a text on low glycemic diets "Many of the diet guides and gurus that appeared at this time (1990's)intentionally distanced themselves from Atkins and the term low carb (because of the controversies) even though their recommendations were based on largely the same principles (e.g. the Zone diet)"
Thanks for the positive feedback Roxanne-it will help people. Some people just want to sound intelligent by criticizing when they have nothing productive to add. ps:Plato distinguishes between two levels of awareness: opinion and knowledge. Claims or assertions about the physical or visible world, including both commonsense observations and the propositions of science, are opinions only. Some of these opinions are well founded; some are not; but none of them counts as genuine knowledge. From dictionary.com, "Intermittent: occurring at irregular intervals; not steady"
Traditional fasts happen with regular intervals. A day, a week, a month. Certain time frames when food can be consumed (after dusk, before dawn). Having a break does not mean intermittent. Having random breaks does. Big difference. There are also different levels of fasting (liquids, types of food, absolute, etc), so saying a continuous fast would result in starvation isn't entirely accurate. 30 hours is essentially a day - are you really nitpicking an example of a short fast? This isn't criticism, it's clarification on a topic that is not your expertise. I have no issue with your intent, it just lacked details, and appeared thrown together without much research. As a PhD candidate I would expect more. Your post is so riddled with inaccuracies, I'm not even sure where to start. 1) 40% is a subjective value. Is 40% of 4000 calories (400g) considered "low"? 2) Almost all of the popular diets distinguish between good/bad choices. Zone does this, Atkins, South Beach, and even weight watchers does this now. 3) Our bodies function best on 50-60% of carbs? According to who? For which activity? Wow-this is getting funny and good. 1. If you define intermittent as "random breaks" then any type of popular IF (like Eat Stop eat with 2 x 24hours fasts on certain days or Lean Gains which is daily 16 hours fast) is not random and therefore not IF by your definition. 2. I am not nitpicking a short fast but clarifying that a one day fast is 24 hours since that is how many hours are in a day. Can't really debate that. 3. A short fast is not 30 hrs but 16hrs like a Lean Gains approach with 8 hours of eating. So again I appreciate your comments and it seems that you have a lot of interest in these topics. I do not claim to be an expert in fasting or "not eating" but was giving a general view of diets and will back up everything i say. 4. This is a blog so I don;t use the same level of references for a general audience that I do for academic audiences. And yes your correct I wrote all that from memory in about 5 minutes so you could say that it was thrown together. Please keep comments coming and maybe we can agree on something soon! Cheers! I don't define it as such, the dictionary does. I am confident that your audience realizes that a day has 24 hours, you don't need to clarify. Perhaps my example should have said "approx 1 day" so as to not confuse you. Don't get hung up on the details, it makes you look petty. Everything is relative. When muslims fast they do it for an entire month. When monks fast, it's a lifetime. With that perspective, a day (or 30 hours) is short. If you want to ask for references from your readers you should expect others to ask the same of you. Don't worry about who I am. We don't know each other and never will. I disagree with your opinion on IF, low carb, etc. Nothing to fight about. Agreed-nothing to fight over. Way bigger issues in the world and we have probably more in common then not if you read this blog. Just glad you read it and please keep commenting if you want. Everyone is entitled to their opinion but should be able to justify their arguments in a coherent fashion. Thank you for the professional references to support your claims and keep posting comments! ps: Food is always a controversial topic it seems. So many conflicting interests involved I guess. PS, I will NOT tell you how many calories I consume, nor my body weight, nor my sport, nor how many hours per week I train, nor the duration of my off-season. PS, it's a rhetorical question. Obviously you cannot determine if 25% is too low or too high to support my training and competition. You need to know how many calories overall I consume, my body weight, my sport, hours training, etc. Which highlights why your percentage is completely arbitrary. And please don't lecture me with dieticians of canada. Have you seen their food guide? Choosing typical foods for each category, this equates to approx 1850 calories, 53g of fat, 246g carbs, and 94g of protein. FOR AN ADULT MALE. Never mind a competitive athlete weighing 200 pounds. Do you REALLY believe that anyone with any experience in athletics is relying on the expert dieticians of canada to formulate nutrition intake for serious athletes? Do you really think ATHLETES are following Canada's food guide? But here's the real kicker: EVERYONE WANTS TO LOOK LIKE AN ATHLETE, BUT NO ONE WANTS TO TRAIN OR EAT LIKE ONE. Don't even get me started on their idiotic reliance on dairy products to solve osteoporosis. How's that working out, anyway? Highest consumption of dairy in the world combined with the highest rate of osteoporosis? Here's something you can research: grain depletes calcium. Now run along, you are clearly out of your league when it comes to nutrition and athletics. 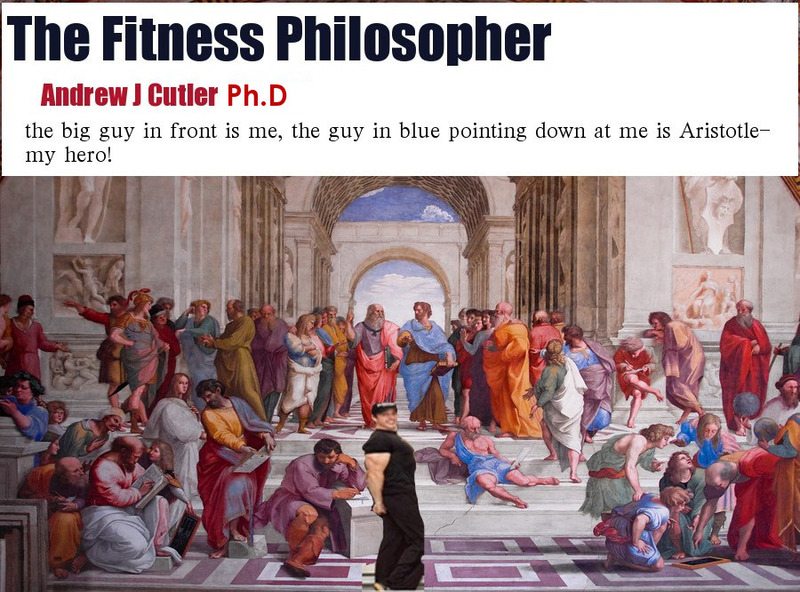 Andrew, you appear to be a big, lean guy. Are you consuming more than 94g of protein (of which only 47g comes from meat which has the highest BV)? I consume around 180-200g protein daily from fish, eggs, cottage cheese, whey isolate(around workouts), and some meat. But I eat less meat these days then I did in the past for various reasons. I like some chicken and beef( free range, grass fed if possible) and here in Canada moose meat when I can get it. (Best meat ever) I agree that I don;t follow the Canada food guide but for people without a clue I often get them to build a FREE custom eating guide on their website.For serious athletes it is way to basic. Better then the SAD (Standard American Diet) I will also say that it has been improved by putting veggies above grains but still high in grains for sedentary people. It is also highly political and is the result of much lobbying by the grain producers mainly in Western provinces. Like the American Food Pyramid (not sure if they still use the pyramid though.) One of my clients is actually a dietitian and she complains about the food guide but thinks its okay for people who have no idea what to eat. Often us that have been around nutrition for a while take what we know for granted and forget that some people don't know an amino acid from a anti-acid. Cheers! I didn't say anything about CFGHE, I said check out the Dietitian's of Canada website....and Nancy Clark's Sport Nutrition Guidebook.These comments have gone way beyond what Andrew was actually just making reference to in his original article. Andrew isn't that what Socratic thought is all about Knowledge and Dialogue...discussion???? Oh, BTW...Sidney Crosbey,consulted a very prestegious sport nutritionist who happens to be a dietitian, that I had the pleasure to hear lecture 3 weeks ago at UBC, about his diet prior to his Olympic training program she completely revamped his eating pattern to match his training regime and his performance was the best he has ever played when he was in the Olympic Games. My source for this....watching him score the gold medal win here in Vancouver....section 114 seat 39 Rogers Arena if you want to check....there i am putting this to rest now as I have bigger fish to fry....like preparing for Jon Bon Jovi anyone like to comment? Andrew! miss you! Roxy, the problem with your rebuttals is that you don't directly address any of the concerns I raise. You just bounce to a new topic and rely on Appeal to Authority (a common argument fallacy). Not once have I said who I am, my education background, what I've achieved in athletics, or what I've helped others achieve in athletics. And yet you continue to name drop as though I will be impressed (for the record: I am not). I have tried to create examples for you to discuss (the high level athlete consuming 25% carbs - who is a very real person - by the way), but it's clear your ability to reason and discuss is limited. So yes, please leave this to rest. уet effective. A lot of times іt's tough to get that "perfect balance" between user friendliness and visual appeal. I must say you have done a awesome job with this. In addition, the blog loads very quick for me on Firefox. Superb Blog!